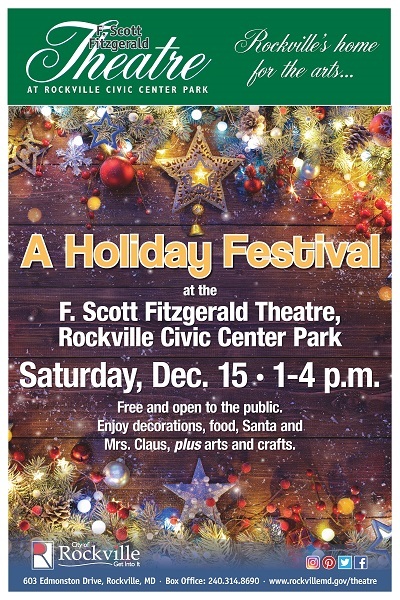 Please come to the F. Scott Fitzgerald Theatre to enjoy decorations, musical performances, arts and crafts, refreshments, and costumed characters. Featuring a special appearance by Santa and Mrs. Claus! They musical day will begin with handbells, followed by our brothers in harmony - Harmony Express! We will join them for one song at the end of their set. Then the Hearts will sing at around 2:15 - 2:45 PM to be joined at the end of our set by our sisters in harmony, Capital Accord Chorus for a song. More musical entertainment will also perform! Times are approximate, so we suggest everyone just come enjoy the whole thing!